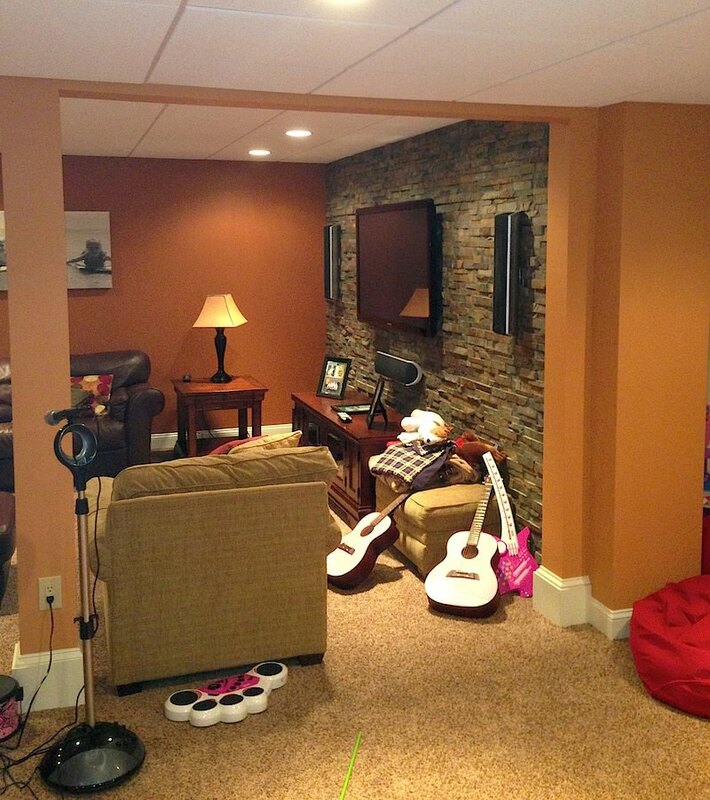 Like many basements, this great space in Chalfont is the definition of multi-purpose. Part play area, part storage, part TV/movie area, and part bar, this basement had multiple identities that needed to be preserved through smart color selections. After painting the ceiling white, parts of the hallway and common space were painted in light orange while a darker orange was used for the TV area to complement the detailed paneling. For the bar area, an olive green worked well with a dark walnut stain. 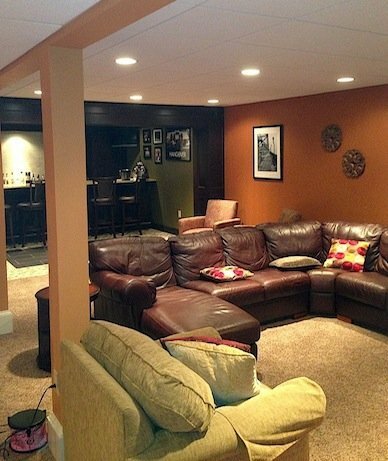 Have a large basement space that needs to be partitioned without walls? Contact LaffCo. 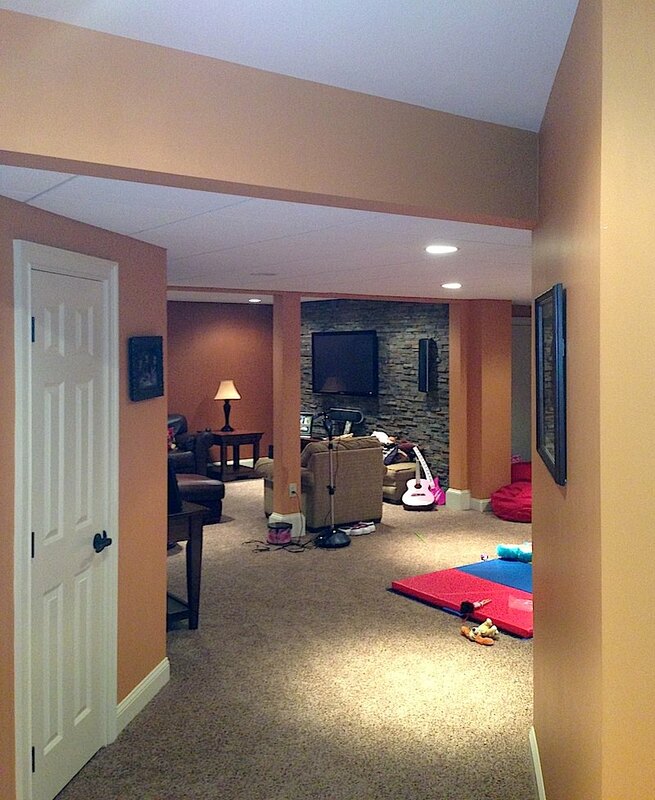 Painting for a free in-home estimate – plus some creative ideas!